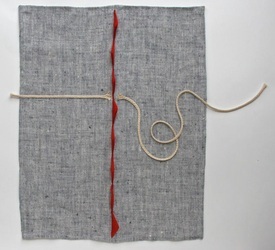 The Idiom Series renders literally the idioms of everyday language. 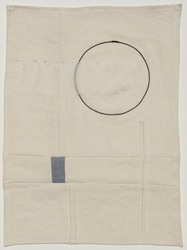 Phrases spoken casually without much thought as to their origin and literal expression. 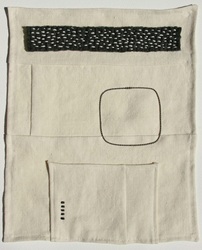 I remake the essence of such phrases using simple, basic materials. 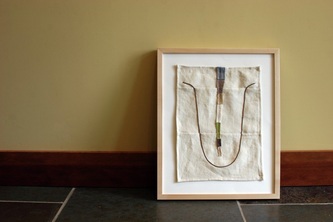 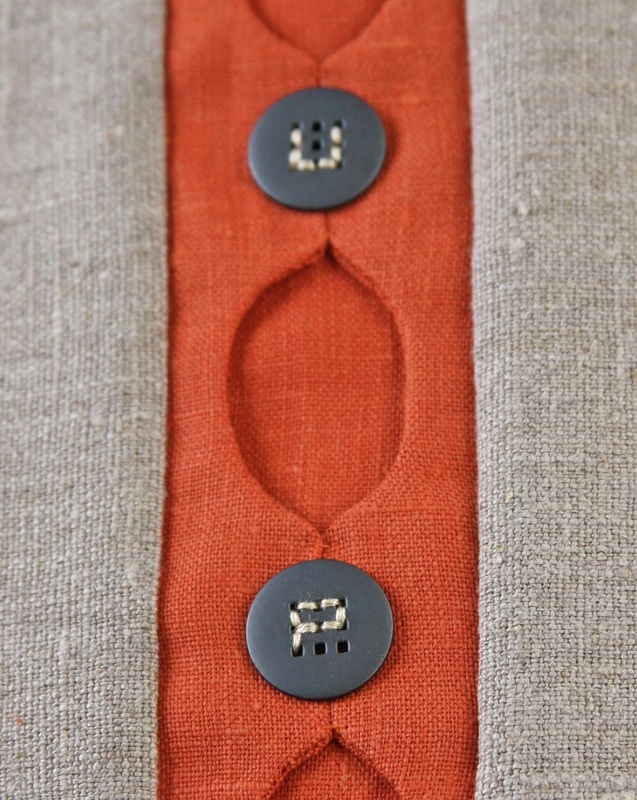 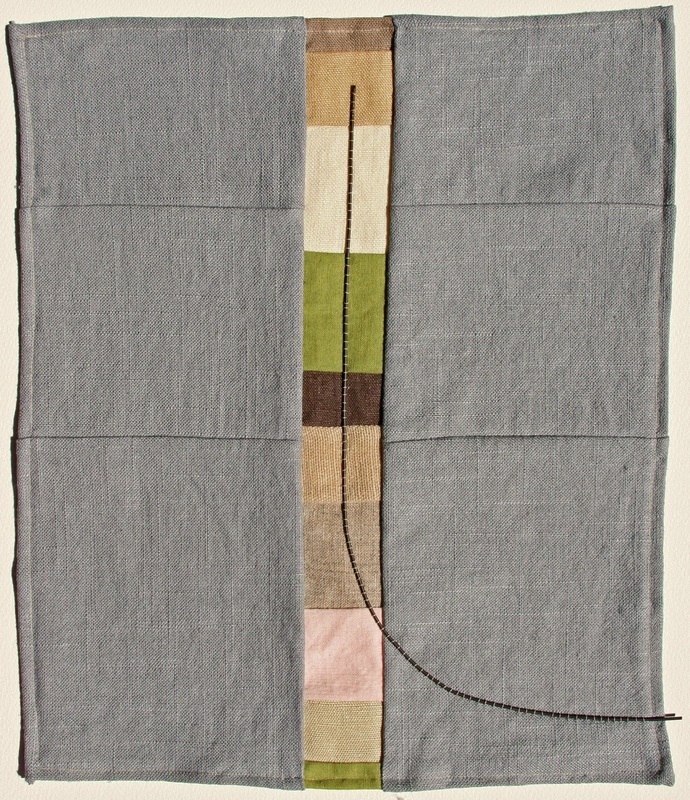 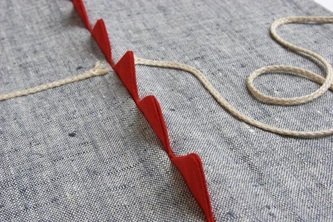 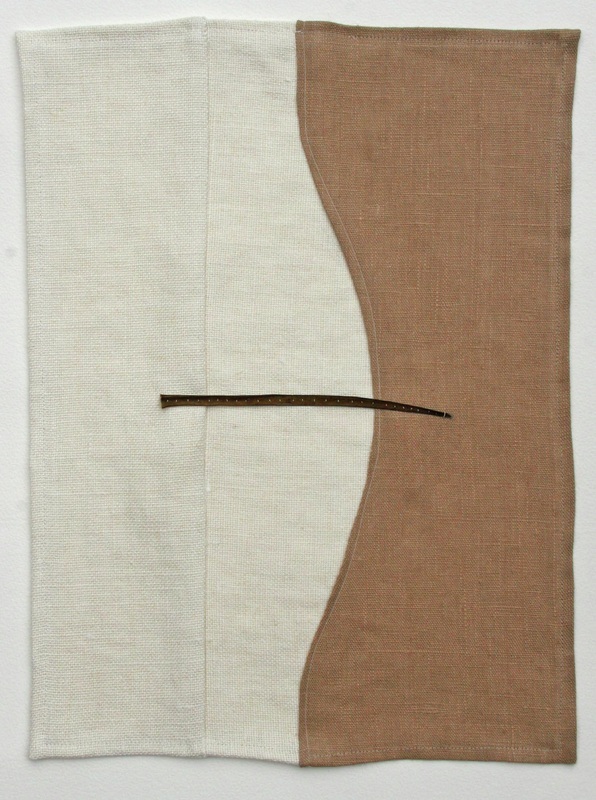 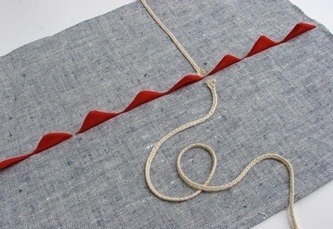 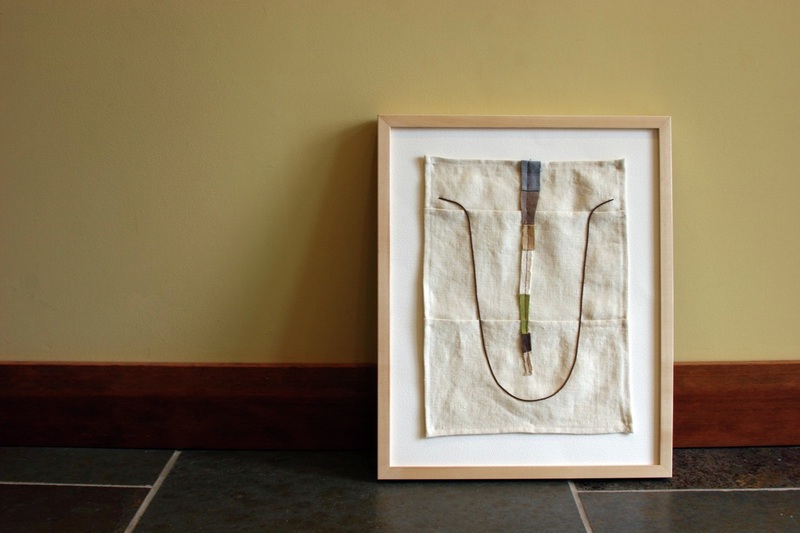 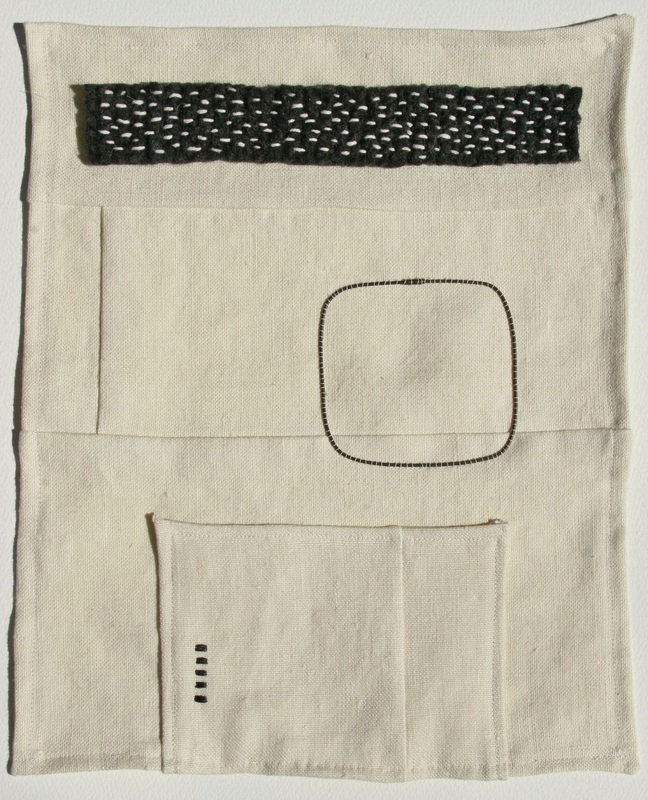 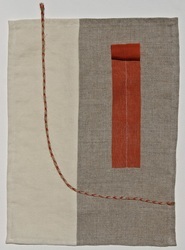 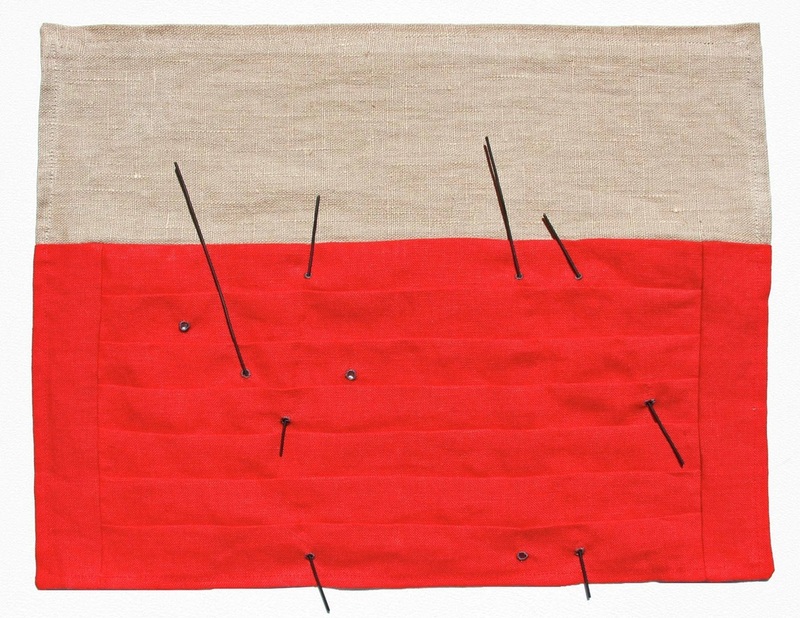 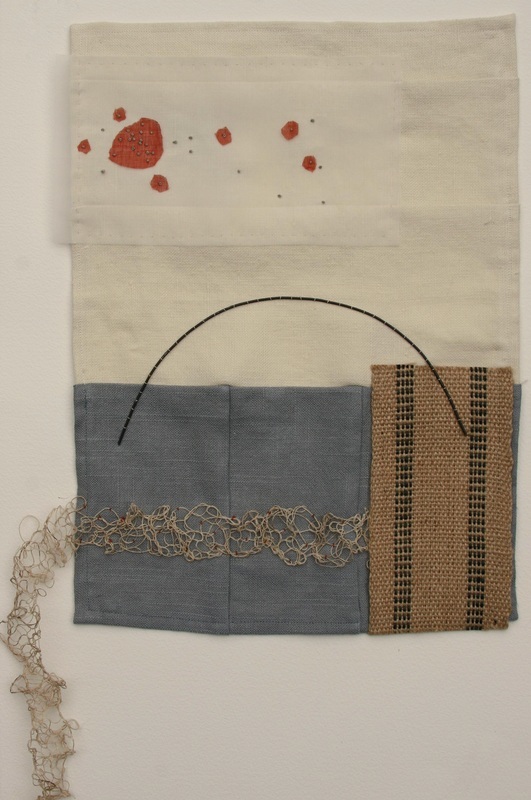 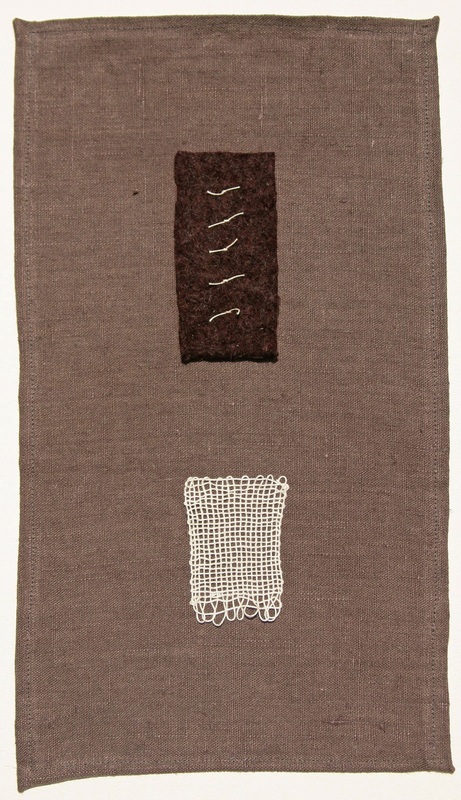 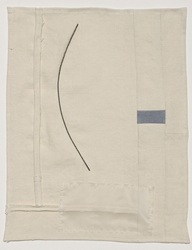 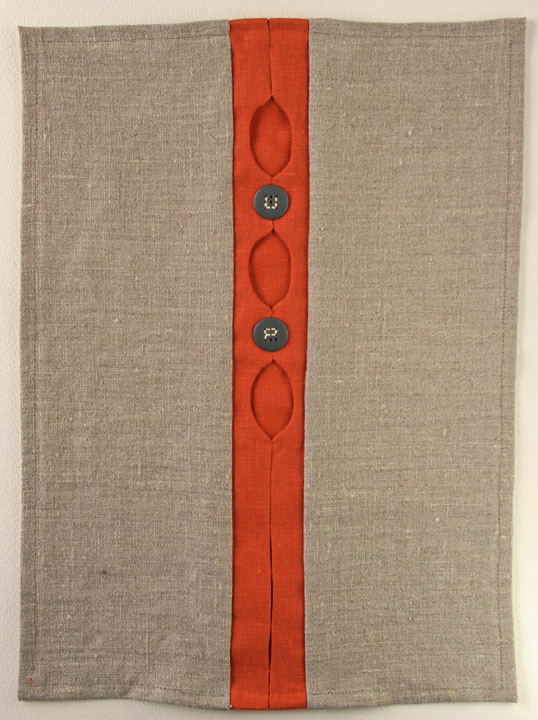 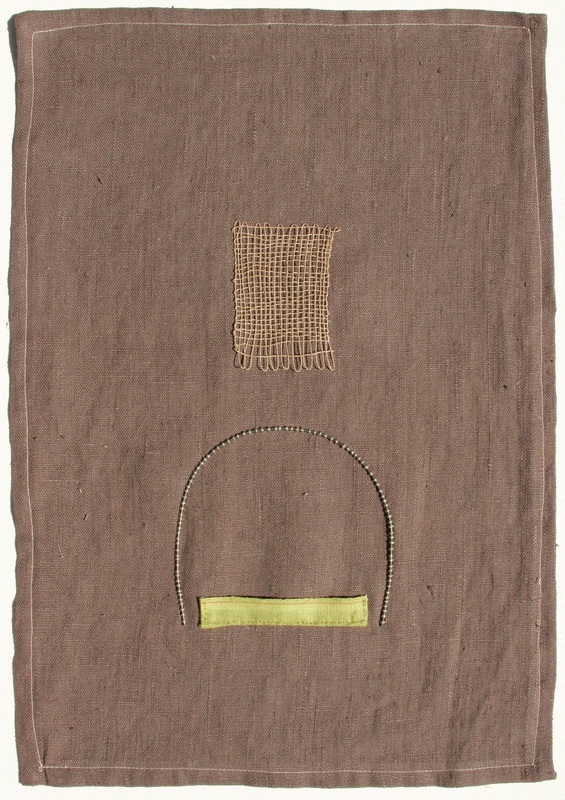 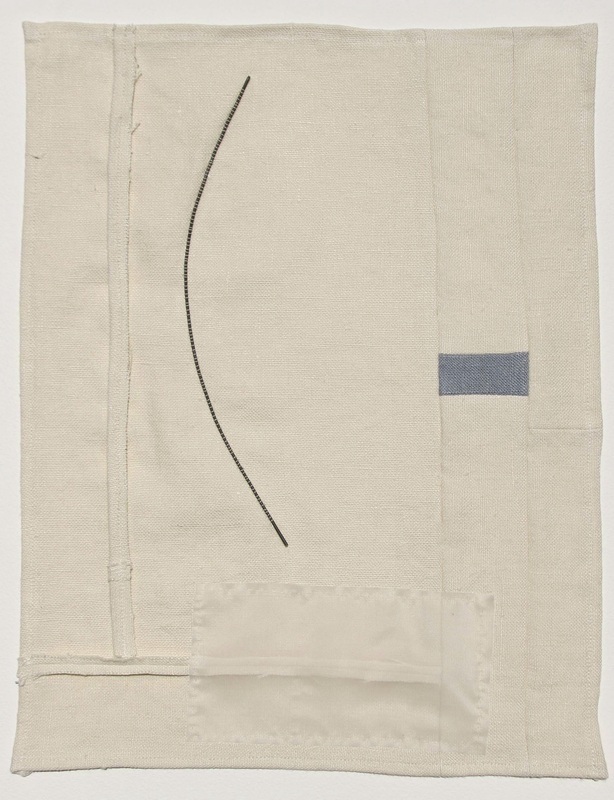 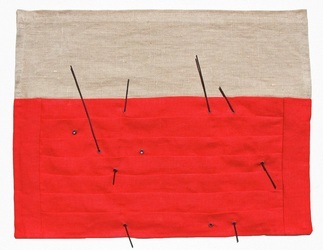 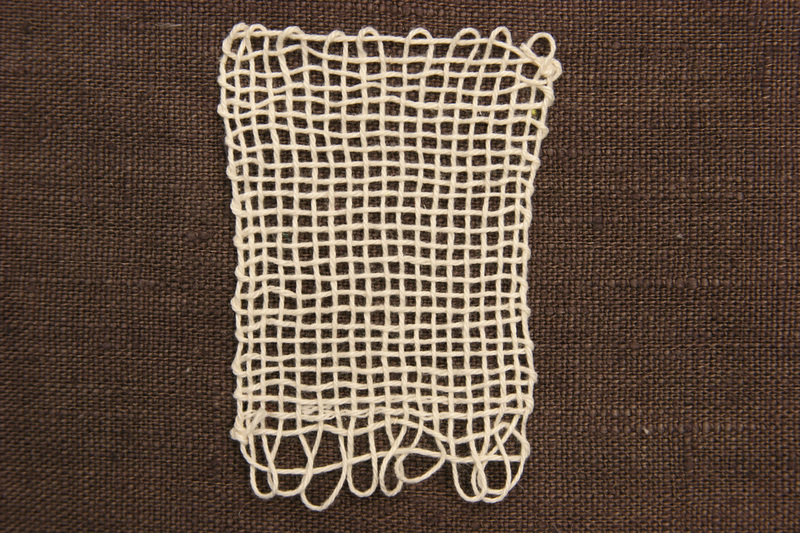 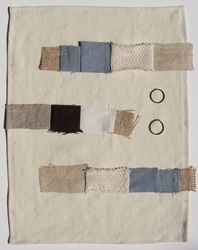 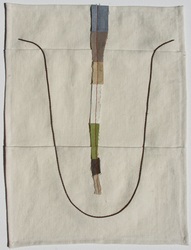 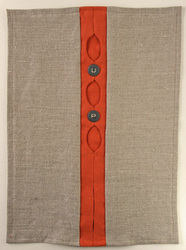 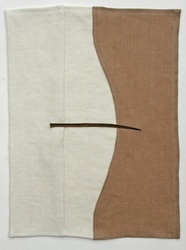 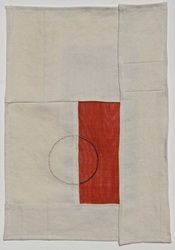 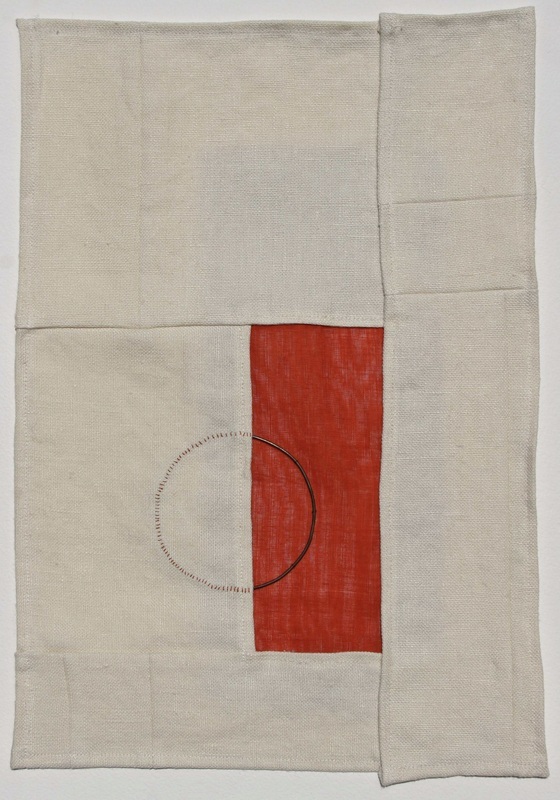 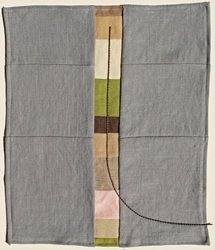 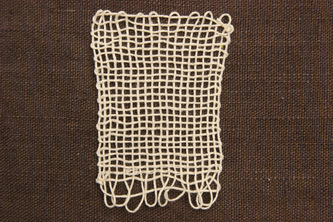 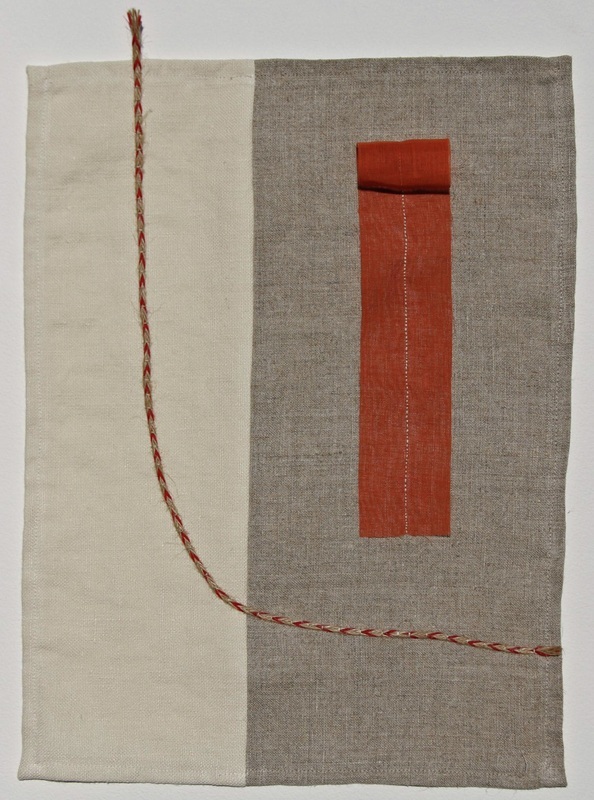 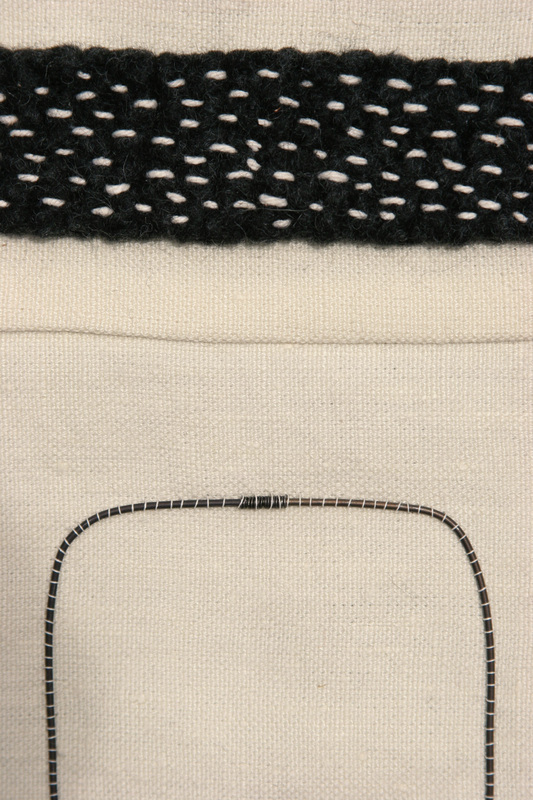 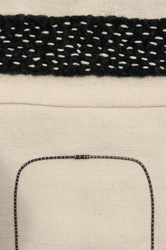 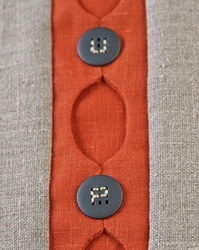 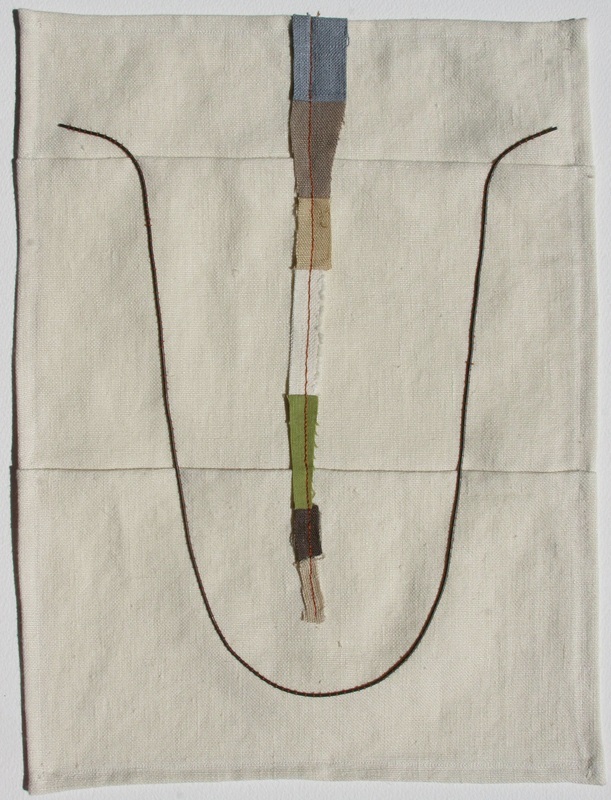 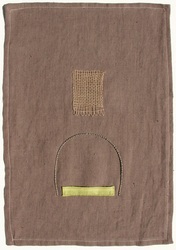 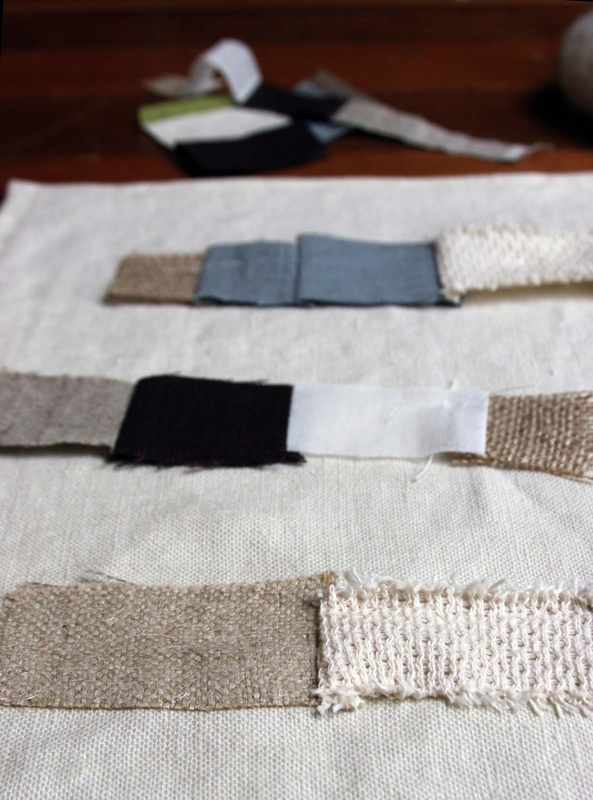 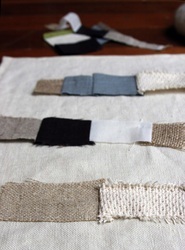 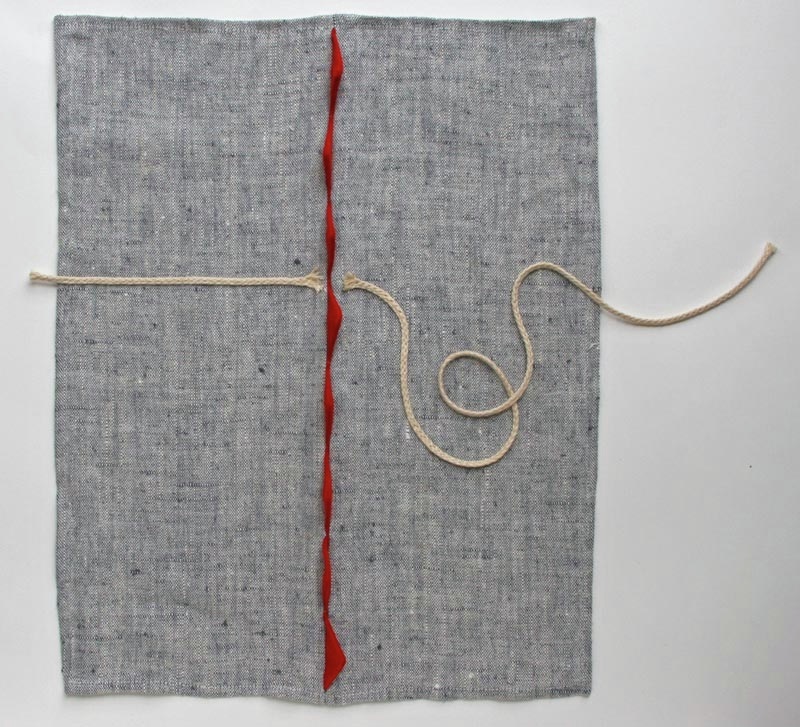 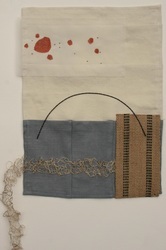 Hand felted wool, steel wire, embroidery thread and twine on sewn linen and silk.